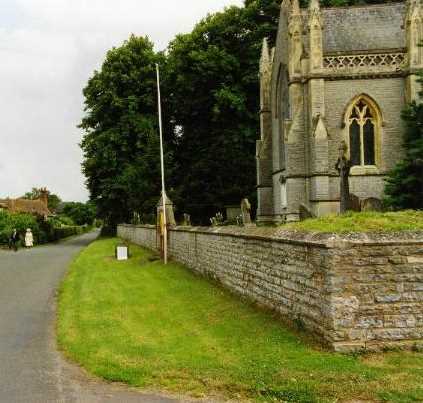 The Parish of Bushley is located in south Worcestershire on the west bank of the River Severn two miles north west of Tewkesbury. It consists of the twin settlements of Bushley and Bushley Green, separated and surrounded by gently undulating traditional farmland. From Bushley Bank between the two settlements there are fine views of the Cotswlods and Bredon Hill. The Parish covers an area of approximately 1800 acres and has a current population of around 300. Recorded in the Doomsday Book of 1086, the settlement was named at that time Biselege or Bissele, meaning ‘the wooded pasture’ and it was part of the great Malvern Chase. The village architecture is predominantly small scale two storey dwellings, most of which date from the 17th, 18th and 19th centuries. Some are richly detailed and the older buildings were restored during the Victorian era. A prominent focal [point is the Victorian Parish Church of St. Peters, built in 1843 on the site of two previous churches. From 1691 until 1932 the Parish was part of the Dowdeswell Estate and village life was recorded in the 'Bushley Almanacs', most of which are included on this website. Further historical documents relating to Bushley will be uploaded to the website as they become available.